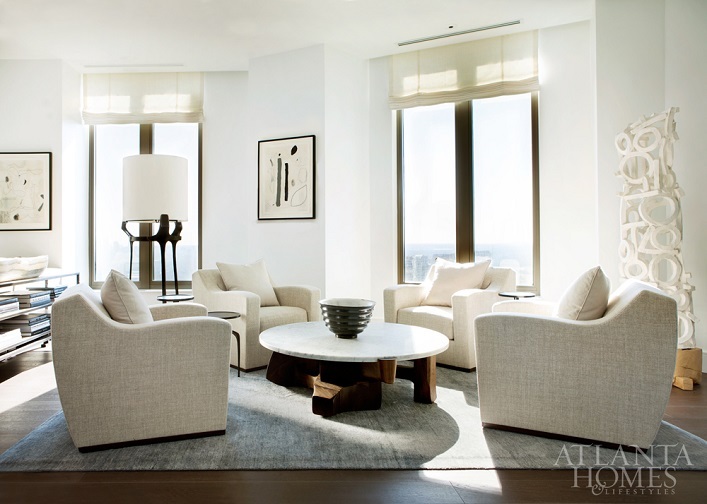 Mix and Chic: A chic and timelessly tailored Atlanta condo! 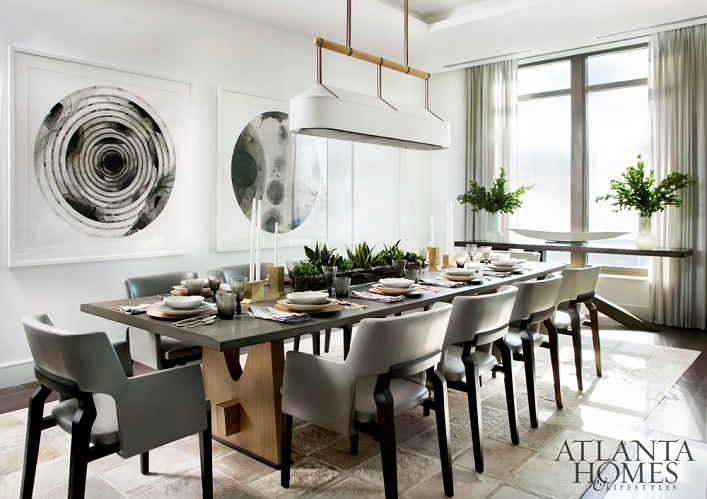 This 5,000 square feet, four-bedroom Atlanta condominium is designed by Barbara Westbrook for a family with three young adult sons. 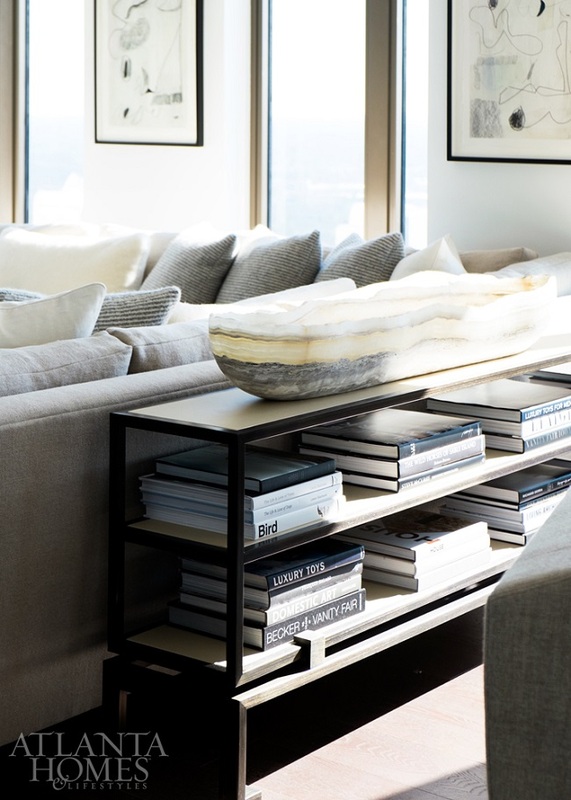 The designer was promptly hired after the client fell in love with a decorated model unit on site that Westbrook has designed. 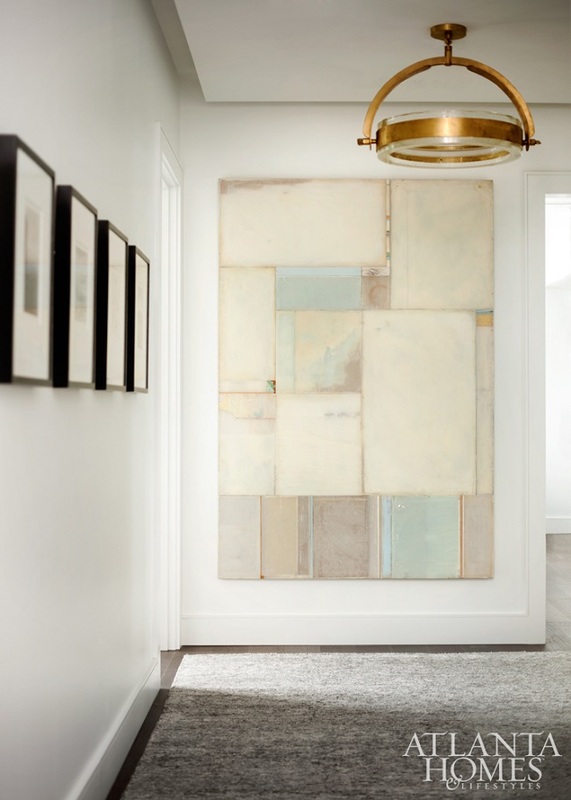 The client, an artist herself started to procure artwork, photographs and sculpture from both local and Southern artists to jazz up her lofty space. Without further ado, let's check out the results of their wonderful design collaboration, shall we? This home is absolutely amazing! It's luxuriously chic, timelessly tailored with a subtle glamour which I really love. 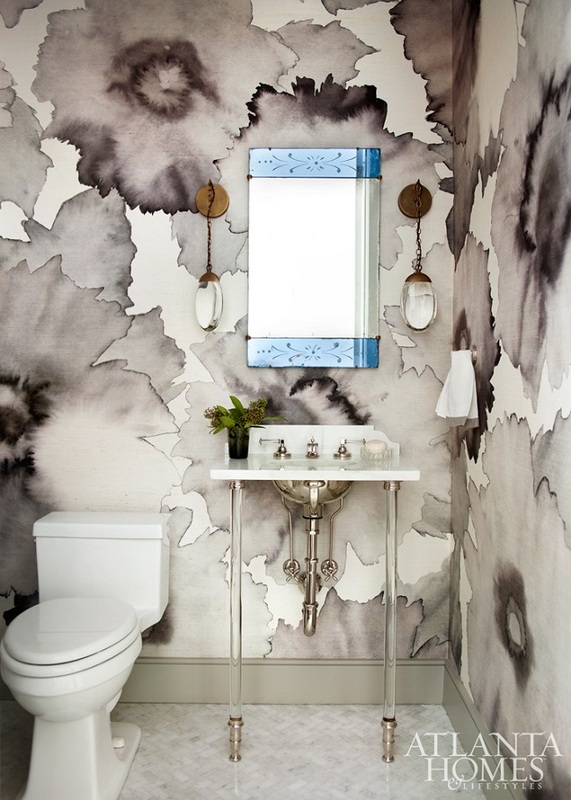 The hand-painted wall treatment in the powder room and the acrylic details in this abode are particularly refreshing and delightful, don't you think? 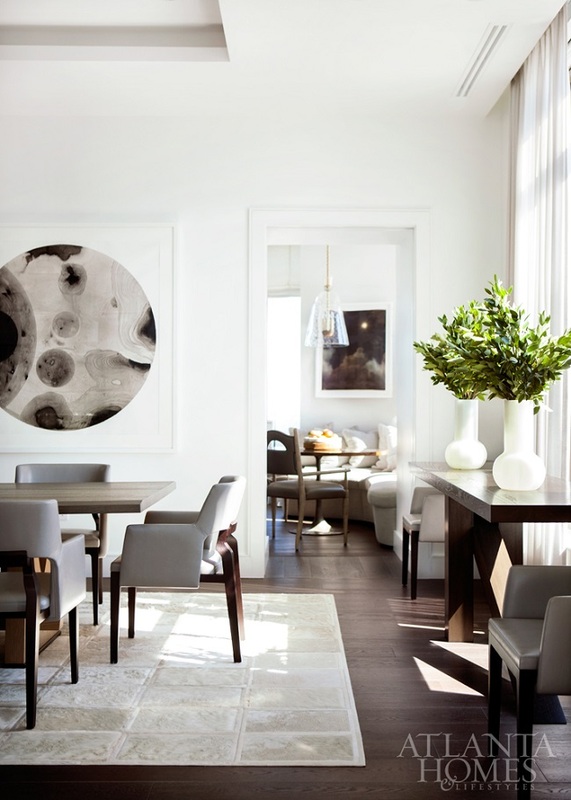 It's definitely a gorgeous home tour, what's not to like? Your thoughts? Oh Boy!! Jessie you know I love this one!! !